One of the best investments I made, was all that silicone rubber and Jesmonite. If it wasn't for my shoe lasts, making footwear for my dollies would be just ... the biggest pain. This weekend I'm making some shoes for a couple of special Evangeline Ghastly outfits. It's a long messy business, because I'm not the neatest person who graced the Earth. My desk is a tip, but it does seem to be going okay. After a couple of teething troubles because I wasn't concentrating. Ahem. This might not look horribly messy, but I did tidy a bit, and zoomed in. There is carnage all over the rest of the desk. CARNAGE. There will be a grey pair and a pink pair. I'll show the completed outfits when they're done. So far so good! The thing about shoe making, is that you not only need to be neat, and precise, you also need nerves of steel, because each successive step can mess them up completely. Good thing I'm kind of good at gluing. And I don't know what I'd do without good old Aleene's. 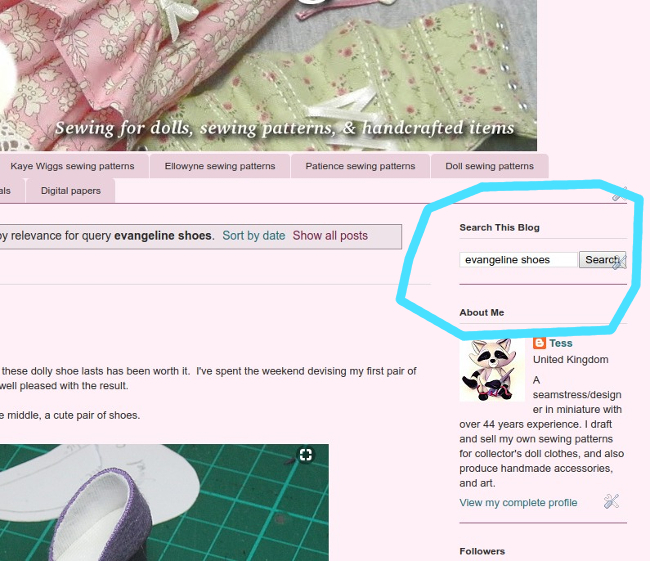 Also - I mainly posted to let people know I've added a search gadget to my blog, so you can look up things like shoes and items for specific dolls, and tutorials, etc. For really great shoe tutorials though, go to Tarja's Blog. Her shoes are amazing, and I've learned a lot of what I do from her. If you scroll back a fair way, there are easier methods shown, than casting the shoe soles, etc. Ima go back to mah shooz nao. If you want to see carnage you should see my living room.... it's littered with dolls and yarn..... I like the search gadget.. very useful... Looking forward to seeing the finished shoes and outfits! Yes, I often see good blogs and want to search, but not many seem to have a search widget. I thought maybe you couldn't get them, so lo and behold, you can!